The two officials acted as respective figureheads for successful Olympic and Paralympic bids from Paris for 2024 and Los Angeles for 2028. The two were originally rivals but became increasingly close as negotiations took place with the International Olympic Committee (IOC) to finalize a joint hosting agreement. 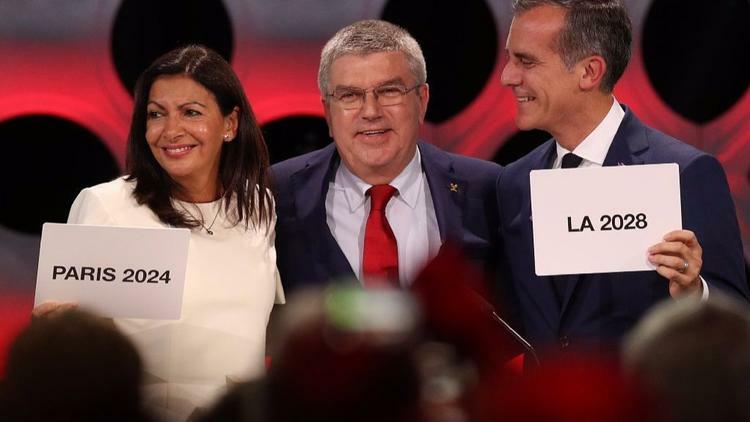 “In this resolutely benevolent and optimistic spirit, Anne Hidalgo, Mayor of Paris, and Eric Garcetti, Mayor of Los Angeles, decided to considerably strengthen the ties between their two cities between now and the Games of 2024 and 2028 by signing a Memorandum of Understanding cooperation, known as ‘Olympic twinning’,” read an invitation sent out by Paris’ City Hall. The partnership will focus on three key areas: the fight against climate change, solidarity and innovation. It will be unveiled by both Hidalgo and Garcetti on Monday at 4 p.m. at the Intercontinental Hotel in Paris. This will come during a C40 Summit on Air Pollution Control at the hotel attended by Mayors from around the world. Hidalgo is chair of the C40, while Garcetti will be another speaker during the three-day event due to start on Sunday (October 22). IOC President Thomas Bach is also expected to attend. Yuriko Koike, the Governor of 2020 Olympic host city, Tokyo, is also expected to be among those taking part in the Summit.